Soft shell clams (Mya arenaria) are found in protected coastal embayments from Labrador to North Carolina. 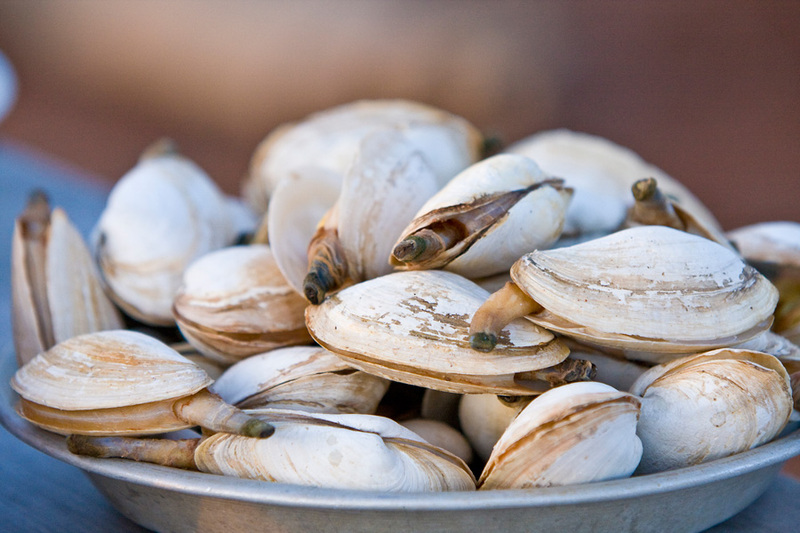 Soft shell clams are found on Prince Edward Island throughout bays and estuaries. The outer shell of the soft shell clam has a chalky white appearance. The surface of the shell is covered with somewhat elliptical markings, some more pronounced than others. These are the annual growth marks or rings which can be used to aid in aging clams. In general, the shell reaches a maximum size of about 10cm in length but some have been reported to exceed 15cm. In order to be harvested Prince Edward Island soft shell clams must at least 5 cm in size. On Prince Edward Island the clam industry has been around since at least the turn of the century. 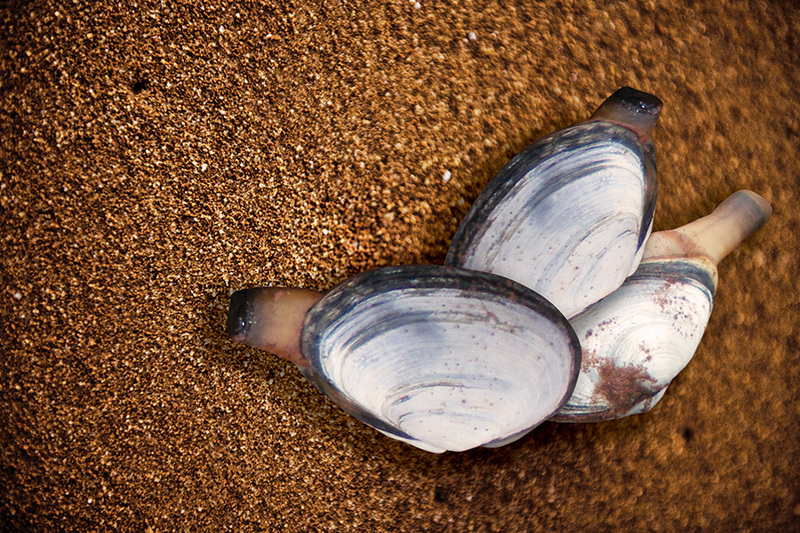 The soft shell clam industry is composed of two major components: commercial and recreational. Over the years, harvesting methods have changed very little. Harvesting is undertaken mainly through the use of clam hacks or forks at low tide. Commercially a mechanical harvester can be used however, manual harvesting accounts for the majority of the soft shell clam landings in the Gulf. 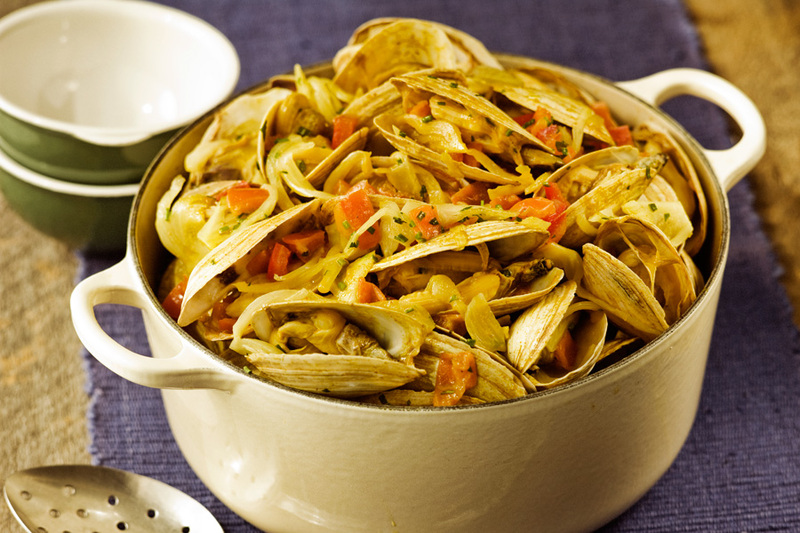 Soft shell clams are enjoyed mostly steamed in the shell. They can also be added to chowders and stews or enjoyed fried.